Mummies, dinosaurs an volcanoes ! 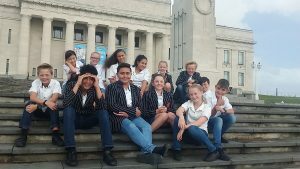 The Year 7 class went to the Auckland Museum – It was a windy, blustery day but the sun shone through for us to have some time in the Domain as well. 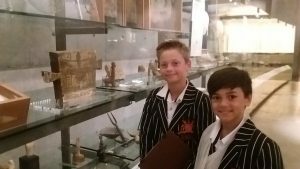 We looked at the Ancient Egypt artefacts and the Mummy to support our current History unit with Teacher Kelly. We even saw mummified animals and make up used by the Ancient Egyptians! Teacher Shân guided us through the Origins of the Earth and the Volcano room to support our learning in Geography. We loved marveling at God’s creation from the dinosaurs through to the layers of the earth! Thanks to parents (and Grandparents!) 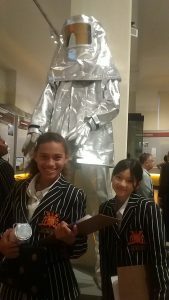 who came with us – We had an awesome day out!